Today is a special What’s Your First Draft Like? 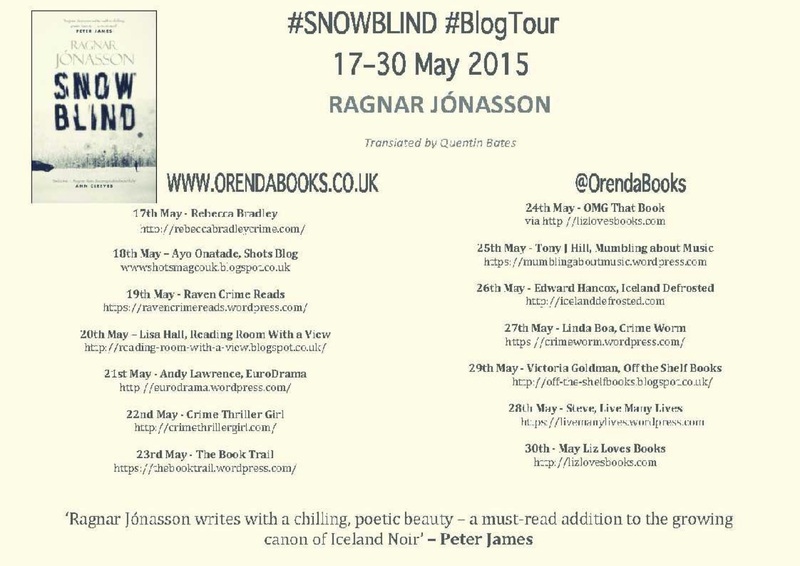 Q&A as it is the starting post of Ragnar Jonasson’s blog tour to launch his debut English language release of Snowblind by Orenda Books. See below for further stops in the tour. 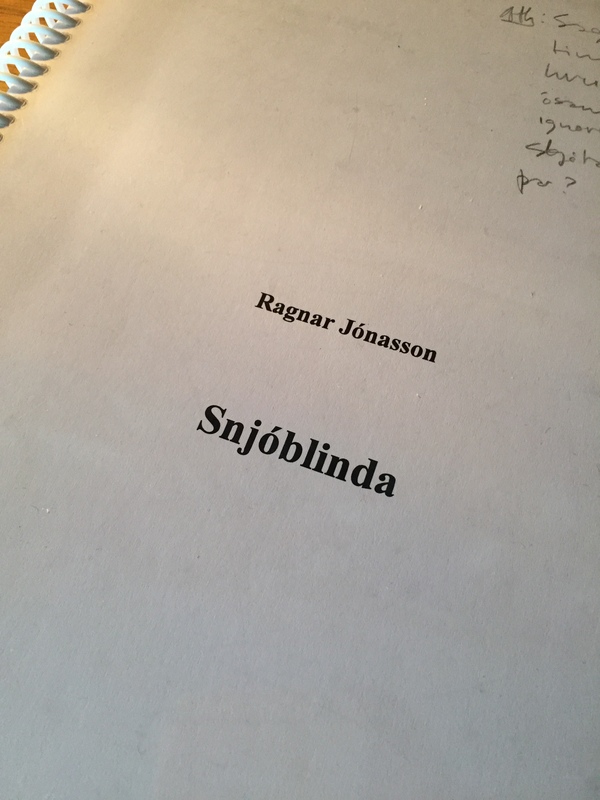 Ragnar Jónasson is the Icelandic writer of the Northern Iceland Crime Series set around the northernmost town in Iceland, Siglufjord. The series is currently published in Iceland and Germany. Leading Icelandic TV production company Saga Film and award nominated actor Thor Kristjansson are developing a TV series based on the Northern Iceland Crime Series. The books in the series are Snjóblinda (2010) (DE: Schneebraut, 2011),Myrknætti (2011) (DE: Todesnacht, 2013) and Rof (2012). Ragnar’s short story Death of a Sunflower is to be published in Ellery Queen’s Mystery Magazine in the US in the September/October Issue 2013. Ragnar is a lawyer and also currently teaches copyright law at Reykjavik University. 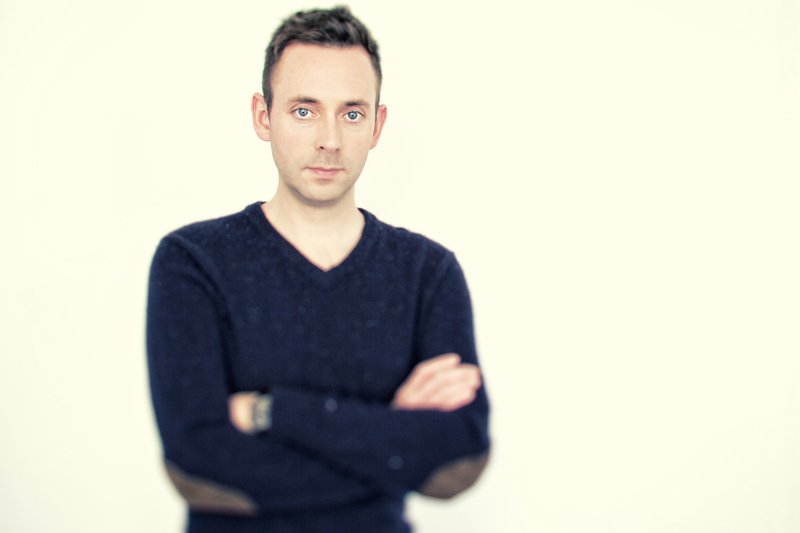 He has previously worked on radio and television, including as a TV news reporter for the Icelandic National Broadcasting Service. In addition to writing crime novels, Ragnar has translated fourteen novels by Agatha Christie from English into Icelandic. 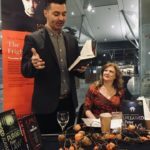 Ragnar is a member of the Board of the Icelandic Association of Crime Writers and has also recently set up the Icelandic branch of the UK Crime Writers’ Association (CWA), where he is a member. Ragnar has taken part in panels on crime writing at Crimefest in the UK and Left Coast Crime in the US. Ragnar lives in Reykjavik with his wife and daughter. Most books have started with an idea for a setting, a character or a plot twist, and at that point I would make a note of it in one of my notebooks. No, not particularly, just a matter of finding peace and quiet to sit down with the computer. Notes are usually made in my notebooks, but when I start writing the book it’s on my computer. It’s important in relation to getting main points on plot, setting or history correct. The plot and characters are of course fictional but I write about real places and settings, which readers can visit, such as the small town of Siglufjordur, often places with an interesting history, which I do want to get rights. 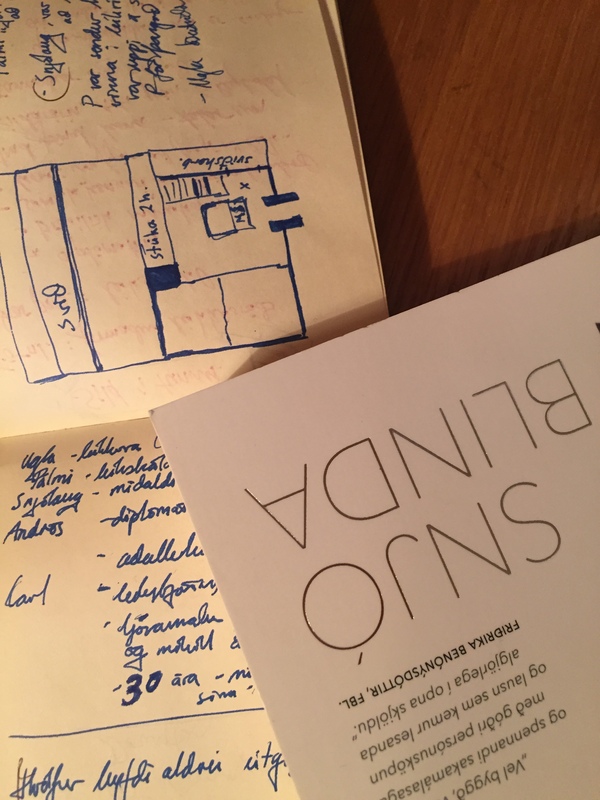 Research for Snowblind was relatively easy, as I’ve spent so much time in that town, and when it came to the history of the place I could consult my father, who grew up there, or my grandfather’s books, but he wrote a series of books about the history of Siglufjordur. For other books, I’ve had to visit places again and again, and read up on history and facts. Everything is kept in my notebooks. 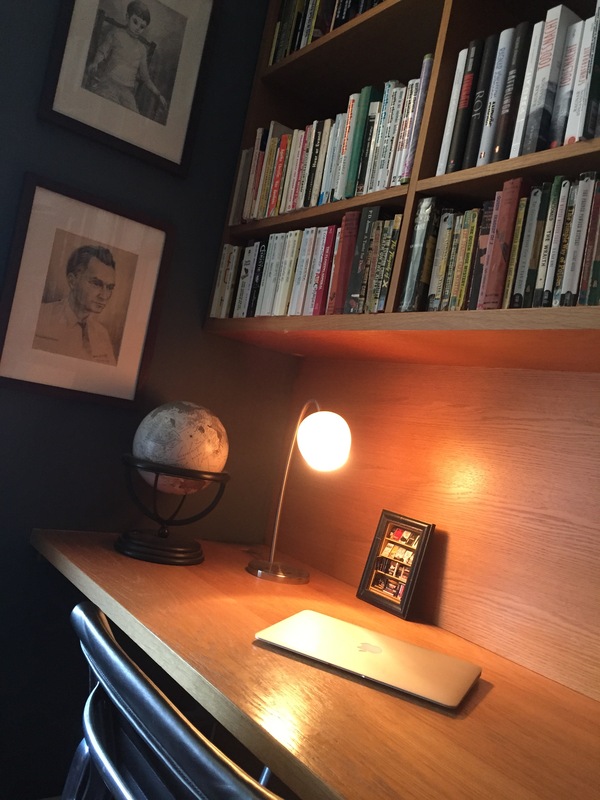 I usually discuss the idea with my Icelandic editior and send him chapters while it is being written, perhaps 1/4 of the book at a time, and then he can make comments while the book is being written. No, not really. Well, I must have a computer, but that’s for purely practical reasons! The outside world exists, and indeed if the weather is nice in the summer (or if we have northern lights out in my backyard in winter), I would usually be too distracted to write. It’s basically wherever my computer is, but my office is filled with books; my own novels and translations, English language golden age books, such as Christie, Queen and Van Dine, and my collection of Icelandic Agatha Christie translations. I have some paintings and drawings on the walls, including two portraits by Icelandic artist Ragnar Páll, one of me as a boy and one of my grandfather and namesake. the artwork on the table, is a miniature bookshelf with miniature copies of my novels and translations. This was given to me by my wife for Christmas and the artist is Gudlaugur Arason, and it so happens that Gudlaugur is also a writer and we share an English language translator, Quentin Bates. It depends, but edits usually happen later on. I think the word count is a nice feature to have to keep track. 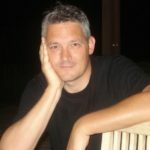 I have published one book each year for the past six years, so the whole process takes about a year, from the first chapter until the final edited version. Definitely not the computer screen. Paper can be nice to make notes onto, but usually I would read it on an e-reader and keep a notebook for edits and comments. My editor reads it through and sends me back to work! Great interview! 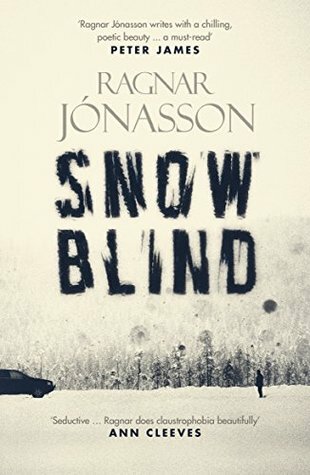 I met Ragnar yesterday at CrimeFest and got a signed copy of Snowblind. He was a genuinely nice (and interesting) guy! A book I’m looking foward to, Rebecca! Thanks. I wrote a review of Snowblind yesterday and commented that it reminded me of Agatha Christie; now I know why. ? I adore that miniature bookcase. Wish I wrote fast enough for one book a year. That’s cool it’s in consideration for television! Terrific interview – thanks, both. I totally agree with using research to get certain facts right. Plots and characters are one thing, but when a story takes place in a real location, it is as well to get those details right. Much success!